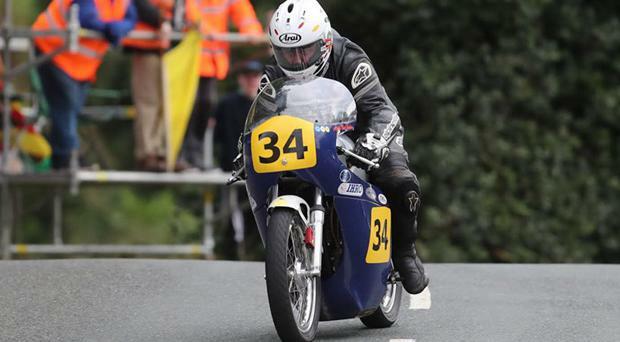 Four-time Manx Grand Prix winner Alan 'Bud' Jackson has been killed during a practice for the Classic TT. The 62-year-old from Kendal, Cumbria was involved in an accident during qualifying on Thursday night. It happened at Creg Ny Baa during a Senior Classic TT session. His death was confirmed by the Manx Motor Cycle Club, the event's organisers, on Friday night. In a statement it said: "Alan was a very experienced competitor on the TT Mountain Course. "He made his debut in the 1979 Manx Grand Prix and has four race wins to his name – the 1986 MGP Junior Race, the 1991 Classic Lightweight MGP, the 1995 Classic Lightweight MGP and the 1998 Classic Lightweight MGP as well as six other MGP podiums. He also competed in the TT Races and had a highest finish of fifth place in the 1990 Ultra Lightweight TT. "The Manx Motor Cycle Club wishes to pass on their deepest sympathy to Alan’s wife Elaine, son Paul, daughter Emma and his other family members and friends."